Coral, peach shading. Strong, fruity, opinions vary fragrance. 35 to 40 petals. Average diameter 5.5″. Large, full (26-40 petals), borne mostly solitary, cluster-flowered, in small clusters, exhibition, high-centered to cupped bloom form. Blooms in flushes throughout the season. Pointed, ovoid buds. Height of 31″ to 4′ (80 to 120 cm). Width of 2′ to 28″ (60 to 70 cm). USDA zone 7b and warmer. 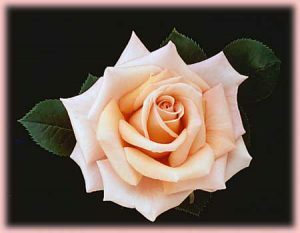 Can be used for beds and borders, container rose, cut flower, exhibition or garden. Produces decorative hips. Disease susceptibility: very disease resistant. Spring Pruning: Remove old canes and dead or diseased wood and cut back canes that cross. In warmer climates, cut back the remaining canes by about one-third. In colder areas, you’ll probably find you’ll have to prune a little more than that. Requires spring freeze protection (see glossary – Spring freeze protection) . Can be grown in the ground or in a container (container requires winter protection). This rose celebrates the 100th anniversary of Sunset magazine.